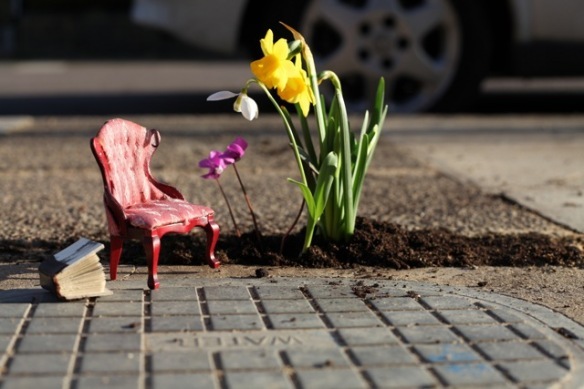 Being an experimental gardener, I have a special interest in miniature gardens. For me it is not about lack of garden space; it is all about adding novelty and creativity to the hobby. 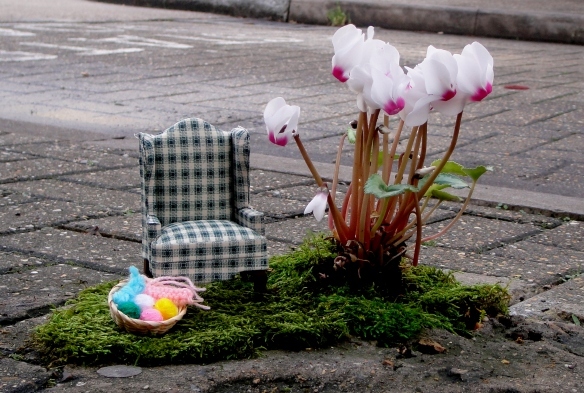 Steve Wheen has, however, gone beyond traditional methods of miniature gardening. 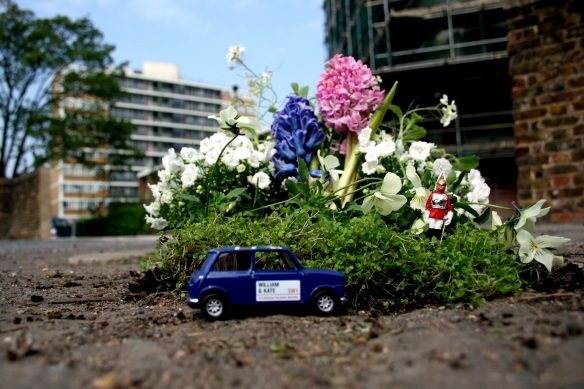 He has taken his miniature gardens to the potholes of London streets – a really novel and amazing idea. 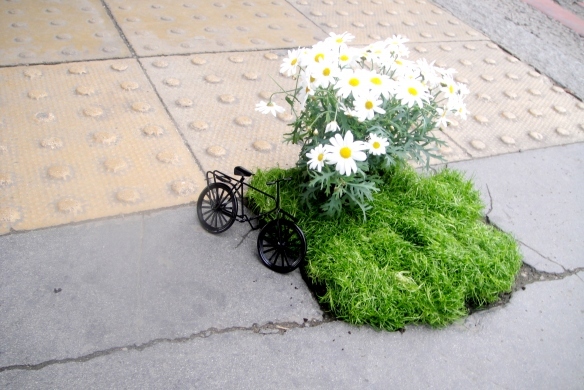 Here I am sharing 9 examples of pothole gardens by Steve Wheen. 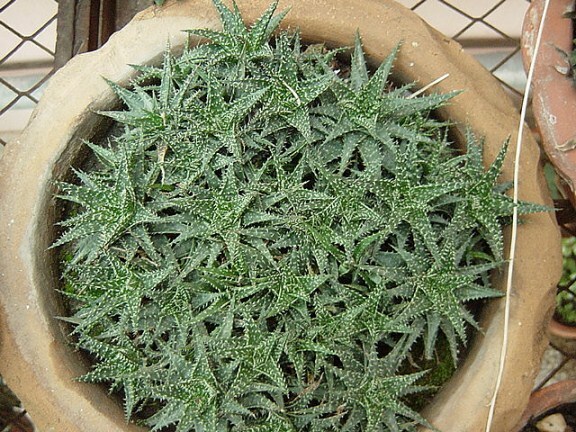 Cheiridopsis is a genus of unusual succulent plants mostly from south-western Africa. 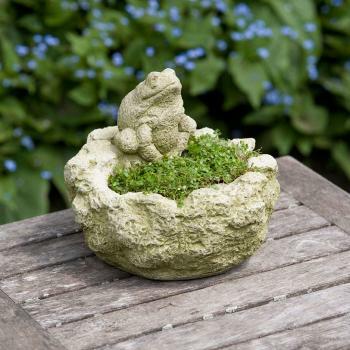 Grown this sandy soil, these succulents are perfect choice for dish gardens, as small pot plants, miniature gardens, or rockeries for because of their low growing and clump forming habits. Almost all species of Cheiridopsis grow in pairs of thick succulent leaves of olive or pale-green colors tinged with red and pink tips. Flowers usually appear from center of leaf-pair and resemble the flowers of daisy. Mature plants would form thick clumps and flower profusely in winter when Cheiridopsis would bloom and grow vigorously after a long dormant period in summer. Cheiridopsis can be grown from seeds and planted in sandy soil to provide very well drained soil system. Provide these plants spots where they are protected from winter frost and direct sunlight of summer. Water barely enough to keep them alive in summer. Start moderate watering in winter. Cheiridopsis Herrei: Easy to grow, clump forming plants with small green leaves tipped with shades of pink or purple. 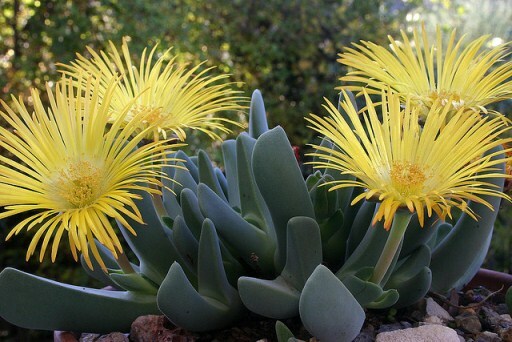 Cheiridopsis Serrulata: Grey-green succulent leaves with bright yellow flowers in spring and winter. Lithops are some of the most fascinating and unusual plants from the most dry and arid regions of Africa. In fact, they are an excellent example of survival for their ability to grow under extremely dry conditions and camouflage themselves for protection from animals. Lithops are so good at blending themselves with their surroundings that one can hardly spot these unusual plants in their native habitat where they grow among pebbles and rocks. For this reason, they are also known as Living Stones. Typically, Lithops (Buy seeds online) consists of two fleshy leaves with fissures on their top. The pair of leaves dries up every winter giving way to a fresh pair of succulent leaves. The leaves usually stray buried in the soil with only the top surface exposed to the climate. This top surface varies in colors and patterns according to the climate and distribution of plants. Growing Lithops could be challenging but with a bit of practice you can grow them as ornamental plants in your dish gardens or as container plants. 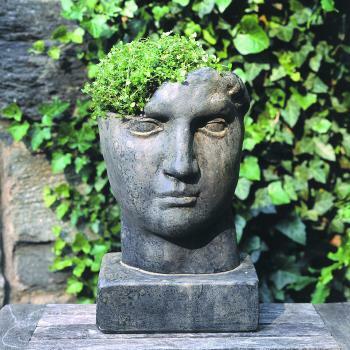 When growing at home, be very careful when watering. Since these succulent plants have a lot of water stored in their leaves, they do not require regular watering. If you living in regions of mild climate, keep your plants completely dry during winter since plants would extract sufficient water from drying pair of leaves. Water barely enough to wet the soil surface in summer. In hotter climates, Lithops go dormant during summer. At this time, they should be kept dry (water slightly only when leaves start shrinking). In tropical climates, allow Lithops plants to stay dormant in summer and start watering in winter. The name ‘lithops’ is derived from two Greek words ‘lithos’ (stones) and ‘ops’ (face). 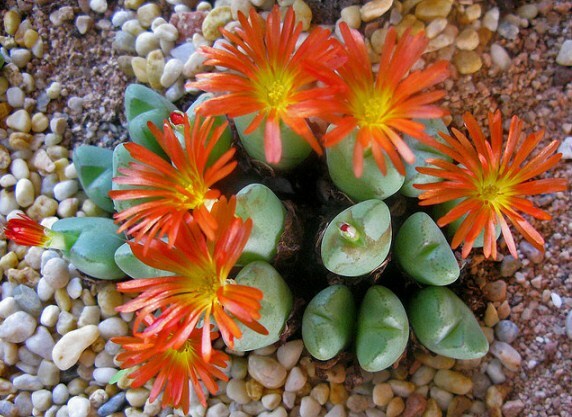 Lithops generally bloom and grow in autumn or spring. Flowers are white or yellow and emit sweet fragrance. These small yet attractive flowers appear from the center of the pair of leaves. 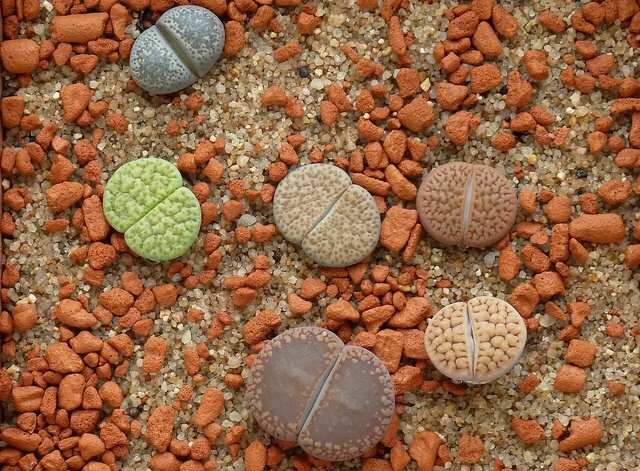 Unlike in their native habitat, Lithops (Buy seeds online) do not adopt easily to climate outside their native habitat so it is important to understand specific requirements of each species. Generally, it is advised to provide them with filtered but ample sunlight. Grow them in porous and well-drained soil and provide just barely sufficient water in growing season. Lithops can be grown from seeds or off springs. Window gardens are easy to maintain and can instantly give an entirely new look to your home especially if you do not have a lawn or live in an apartment. 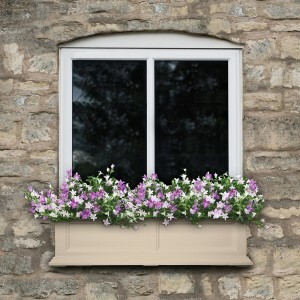 A window garden usually requires low maintenance and can be set up with relatively lower cost. Before you begin with your first window garden, here are a few tips that would definitely help you with your window garden experiments. Select a location for your window garden and observe its exposure to light, temperature, water, fog etc. Also make sure that the windows are easy to access as you would need to visit your window garden frequently for watering, fertilizing and weeding. Once you determine the type of climate, narrow down your choice of plants to the varieties that can be grown easily in your window garden. Determine what type of plants you want to grow in your window garden. 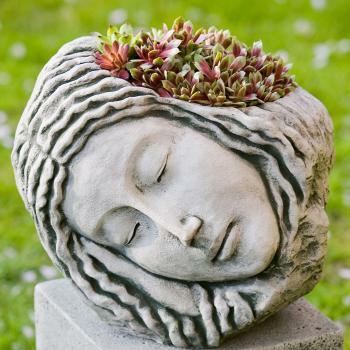 There are a lot of options ranging from flowering perennials to evergreen shrubs and from cacti and succulents to climbers or hanging plants. As a general rule, select a mixture of trailers and compact upright plants that grow tall enough to be seen without blocking the window, filler plants, and bulbs. For a better show, choose plants that contrast with the background, for example, select bright plants against light background and pale flowers against dark brick walls. For beginners, here is a list of recommended plants for window gardens. Alyssum, a fragrant trailer available in white, cream, pink, and purple colors, is easy to grow and fills in the space beautifully. Caladiums add a lush, exotic look to a window garden. They are easy to grow and are available in a variety of colors and combinations. You can grow caladiums with flowering perennials to give a dramatic effect to your window garden. A perfect choice for window gardens, offers showy flowers in variety of colors and quickly fill gaps between permanent plants or other annuals. Excellent choice for a spectacular summer show, petunia offers wide, showy flowers in a range of bright colors. With nice fragrant flowers, dianthus makes a good choice for any window garden. Another excellent choice for window gardens. English ivy is a hardy trailing plant and can tolerate a range of temperature. Bred to stay small in size, miniature roses come in a variety of types and colors. Despite their small size, miniature roses are hardy and can be grown easily in a window garden. There is a large variety of cacti and succulents that you can experiment with in your window garden. With a little creativity, you can mix verities of cacti and succulents to grow a unique, year-round miniature garden. Select containers for your window garden. These days, garden containers come in a lot of colors, style and materials. You can buy plastic, terra cotta, wooden, metallic or concrete containers in almost any color or shape. However, you should select the container that matches your windows and all the requirements of the plants that you want to grow in your window garden. Most important factors are size and the material that the container is composed of. Pay special attention to the size. The container should allow sufficient room for the plants to grow. Since you will not be replacing your window gardens very often, the container should be sufficient for the plants for at least a year or two. Also select the material that is suitable for the plant and the climate. Normally, garden containers made of plastic do not survive broad spectrum of temperature. Similarly, terra cotta containers have a limited life. Moreover, there are certain materials that you not good for certain plants. Consider all these factors before purchasing containers for your window garden. Fix your containers firmly and provide protection from rains, storms, birds, sunlight according to the requirements of plants that you want to grow in your window garden. As a general rule, position your container slightly below the window (normally 6 inches below) especially if the window opens outwards. Always mount the box before planting. You can put them directly in the container. This method is suitable if you are planting evergreen shrubs that do not need frequent re-potting. You can put potted plants in the container; this method if suitable when you plan to frequently change plants in your window garden, for example, flowering perennials. Alternatively, you can put plants in a plastic or metal liner that fits inside the container. 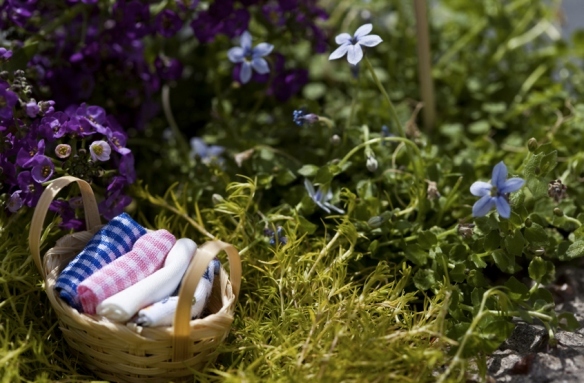 With this method, you can easily change the liners or soil and add fresh plants. 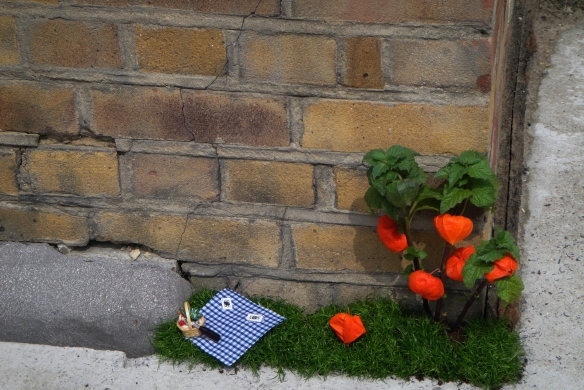 Window gardens do not have any special maintenance requirements. You just have to make sure that the plants are provided with suitable conditions and are protected from insects, storms etc. Containers are one of the most important parts of my design scheme. 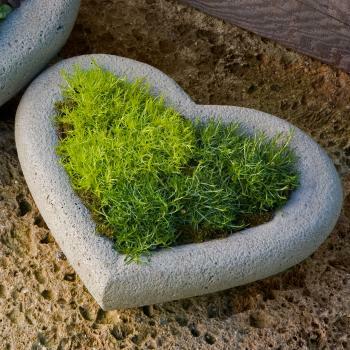 They can instantly impact and lift the look-and-feel of landscapes, miniature gardens, windows, patios, and indoor or outdoor plants. For this reason, selecting the right type of containers is very important both for the plant as well as your design scheme for miniature gardens. 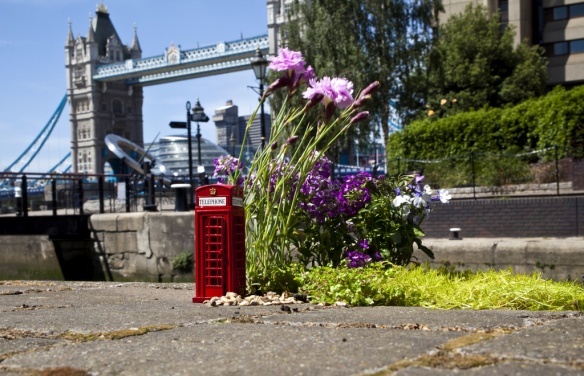 There are a number of factors that you should consider when selecting containers especially for miniature gardens. The foremost factor is the plant itself. Every plant has its own requirements and you must ensure that the texture, design, shape, and the material of the container suit the requirements of the plant. Containers, these days, are made from a number of materials: wood, plastic, fiberglass, metals, clay, ceramic, stone, terracotta etc. 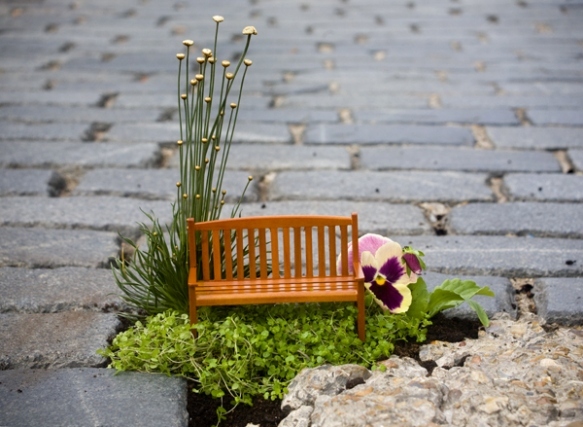 Similarly, there are a lot of variations in shape, design and style especially for miniature gardens. Containers that are good for indoor plants may not serve the requirements of outdoor plants. 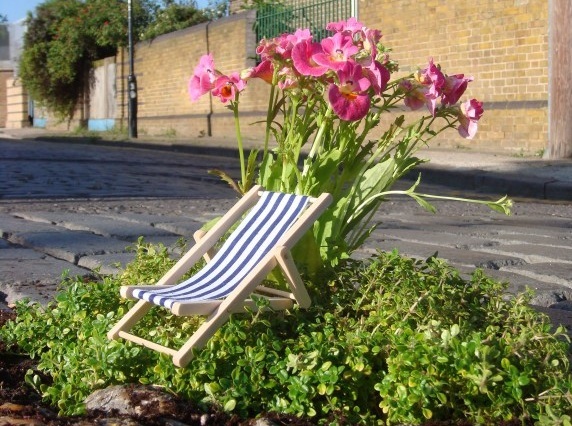 Similarly, containers that are good for bushes or trees are not suitable for your miniature garden. 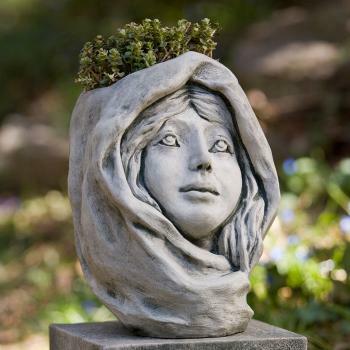 Besides the discussion of selecting the right containers for your plants, here are a few artistic and unique containers by ePlanters that you can use for your miniature gardens. They are unique, artistic and strikingly different.